Amazon is aiming for a future in which its digital assistant Alexa replaces the smartphone. The future Alexa will evolve from speakers to touchscreens and a new, simpler kind of computing based on voice commands rather than apps. The rationale is that the smartphone has become ever-more complicated, with dozens of apps that distract the user. Developers also have an interest in moving off the smartphone, which has also been shown to have negative health effects. Rather than a distraction, Alexa offers specific interactions. Fast Company reports that, according to comScore, “the share of U.S. smartphone owners who downloaded zero new apps per month exceeded 50 percent in June, and nearly three-quarters of smartphone owners downloaded fewer than three apps in that period.” Forrester Research conducted a study in 2015 that revealed that “just a handful of tech giants dominate the time users spend on their phones.” Amazon hopes to change that paradigm. 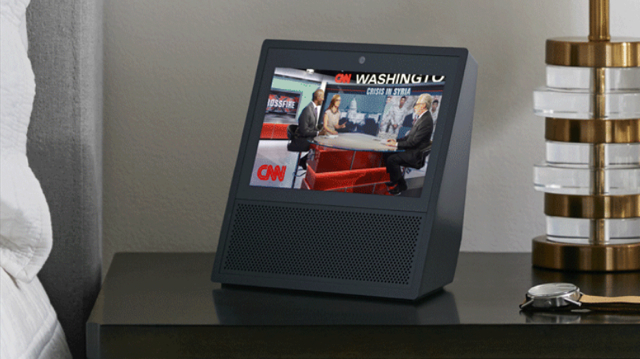 According to Consumer Intelligence Research Partners, Echo has racked up 15 million sales.